At Garces, we are aware of the ever new and expanding disciplines in science and business. The Garces Mathematics Department feels a strong foundation in mathematics is essential to meeting the challenges of a technology-oriented world. The study of mathematics will emphasize reasoning, logic, accuracy, reliability, and the utilization of technology. This develops the intellectual powers of the Garces student, not only for mathematics, but also for other fields. The Garces Memorial Math Department recognizes what an exciting time this is to be teaching mathematics. Changes in technology, including computers and calculators, have altered the way in which mathematics is being taught. The department strives to keep current with new trends in teaching without forsaking the fundamentals upon which all mathematical knowledge and problem solving is based. In the more advanced courses, students are required to be well-versed in the use of graphing technology while this technology is presented to students at all levels. The Math Department offers a college preparatory and an Honors/Advanced Placement sequence for students. More importantly however, is the individual attention and help provided to students. Teachers are available at various times for extra help and students are able to receive extra assistance as needed and deserved. All Students who graduate from Garces Memorial High School must successfully complete 3 years of Mathematics. Students must complete a minimum of Algebra 2 (P). 4 years of mathematics is strongly recommended. This course, taken over two semesters, satisfies the Algebra requirement at Garces Memorial High School and that of the University of California. It includes basic set theory, real number systems, linear equations and inequalities, polynomials, factors, functions, and graphs. Prerequisites: Students are placed in Algebra I based on their High School Placement Exam score. In lieu of taking Algebra 1 during the year, a student may successfully pass this Garces Math course in summer school. This is a one-year course offered to those students who satisfactorily complete Algebra. Using geometry as a model, this course stresses the development and understanding of logical methods of thinking. Honors Geometry consists of a study of the concepts of space geometry, plane geometry, and coordinate geometry. This course fulfills the one-year geometry requirement of the University of California. Prerequisites: Incoming Freshmen must score a 90% or above on the Algebra 1 Challenge Exam or current freshmen who have passed Algebra 1(P) with an A or higher for 1st Semester and has had teacher recommendation. Requirements: Students must maintain a “B-“or above grade to remain in this course. Algebra II is a one-year course offered to students as an extension of Algebra I and Geometry. It is a more complex study of Algebra designed to prepare the student for Math Analysis and Calculus, as well as develop the skills needed for problem solving in Chemistry and Physics. Algebra II is required for four-year college/university candidates. Algebra 2 (H) is a two-semester honors level course that will give students a solid foundation for Math Analysis and, ultimately, Calculus. It is an integral part of the honors mathematics sequence at Garces Memorial High School, a program that prepares students for future study, and challenges them to excel in their studies. Students will be expected to understand theory, have proficiency in technique, and be able to apply this knowledge in various fields. Students who successfully complete this course choose two paths--certain students move on to a full year of Honors Math Analysis, while others enroll in a summer session of Math Analysis, and follow up with Calculus in the fall semester. Requirements: Students must maintain a “B-“ or above grade to remain in this course. Math Analysis is a two-semester college preparatory course that will give students a solid foundation for Calculus. It is an integral part of the mathematics sequence at Garces Memorial High School, a program that prepares students for future study, and for everyday mathematical usage. Having completed this course, the students will be ready to continue in mathematical studies. This course may or may not be an elective, depending on how the student chooses to fulfill the mathematics requirements. Honors Math Analysis is a two-semester honors level course that will give students a solid foundation for Calculus.  It is an integral part of the honors mathematics sequence at Garces Memorial High School, a program that prepares students for future study, and challenges them to excel in their studies. Students will be expected to understand theory, be proficient in technique, and be able to apply this knowledge to various fields. Having completed this course, the students will be ready to continue in advanced mathematical studies. This course may or may not be an elective, depending on how the student chooses to fulfill the mathematics requirements. 1) Successful completion of Algebra 2 (H) with a grade of B or better, or successful completion of Algebra 2 (P) with a grade of 95% or higher and recommendation of Algebra 2 Instructor. Calculus is a two-semester course. This course is designed to be a review of Precalculus with an introduction to calculus. This course will also emphasize the development of the technique necessary for students to continue in mathematics, sciences, or engineering. This course may or may not be an elective, depending on how the student chooses to fulfill the mathematics requirements. 1) Successful Completion of Math Analysis with a grade of B- or better. 2) Recommendation of Math Analysis Instructor. AP Calculus is a two-semester advanced placement course that will cover the entire "AP" syllabus put out by the College Board. This course will attempt to balance theory, technique, and applications of Calculus. Students will be expected to master definitions of the concepts and proofs of the main Calculus theorems. This course will also emphasize the development of the techniques necessary for students to continue in mathematics, sciences, or engineering. This course may or may not be an elective, depending on how the student chooses to fulfill the mathematics requirements. 2) Recommendation of Honors Math Analysis Instructor. 3) Permission of Calculus Instructor / Math Department Chair. Statistics is a two-semester math course. This course will enable students to gain an understanding of statistics, an insight to research methods, and apply statistics to life situations. This discipline is an introduction to the study of probability, interpretation of data, and fundamental statistical problem solving. Mastery of this academic content will provide students with a solid foundation in statistics. Prerequisites: All students must have completed Algebra II (P) with a grade of C or better & submitted application. From launching space explorations to delivering safe, clean water to communities, engineers find solutions to pressing problems and turn their ideas into reality. PLTW Engineering empowers students to step into the role of an engineer, adopt a problem-solving mindset, and make the leap from dreamers to doers. The program courses engage students in compelling, real-world challenges that help them become better collaborators and thinkers. Students take from the courses in-demand knowledge and skills they will use in high school and for the rest of their lives, on any career path they take. Students dig deep into the engineering design process, applying math, science, and engineering standards to hands-on projects. They work both individually and in teams to design solutions to a variety of problems using 3-D modeling software and use an engineering notebook to document their work. Eligibility: Students who meet prerequisites are eligible to take this course. Students learn important aspects of building and site design and development. They apply math, science, and standard engineering practices to design both residential and commercial projects and document their work using 3-D architectural design software. This course covers fundamentals of analog and digital electronics. Students learn about the different number systems used in the design of digital circuitry. They design circuits to solve open-ended problems, assemble their solutions and trouble-shoot them as necessary. Students then use combined logic, integrated circuits and microprocessors to solve open-ended problems. Prerequisites: All students must have completed Algebra 2 with a grade of B or better & Project Lead the Way – Engineering Design with a grade of B or better. This course is an introductory course designed to expose students to different aspects of the agriculture industry on a local and state level. Students will gain knowledge in the history of agriculture, animal science, plant science and career opportunities. Eligibility: Students must be 9th or 10th grade to enroll in this course. The course provides introduction to the art and science of floral design, including the exploration of flower production methods, harvesting and shipping procedures, commodity distribution, and proper handling of cut flowers once they reach the local vendor. You will also learn how to properly place fresh flowers into simple arrangements based on the elements and principles of design. Eligibility: Students must be 10th-11th grade to enroll in this course. This one semester course consists of participation in an internship experience. This course provides practical, hands-on training for students interested in pursuing a specific major or pathway. Eligibility: Students must be 11th & 12th grade to enroll in this course & have successfully completed Introduction to Agriculture and Floral Design. Teacher Recommendation.